Natural pillows Firm supportive . Our firm natural pillows are designed for people sleeping on the side. The firm natural pillow provides a support adapted to your head and your neck so that your spine is perfectly supported during the night. 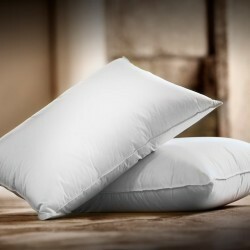 Made from an exclusive Dumas Paris concept, natural firm pillows give you incredible softness. They will offer you exceptional support for restorative nights. Our pillows can also be tailor made on request. For any customized request the deadline for the fabrication is 10 days. The firm natural pillows can be embroidered with your initials or the name of the room for which they are intended. All special sizes and customizations are not taken back or exchanged.